d. You Should fill up all information correcly(All information like SSC/Equivalent Certificate). Reply: Applicant’s Name, Tk-500/- or Tk 300/- will be charged as application fee. Your PIN is (8 digit number). Reply: Congratulations! Applicant’s Name, payment completed successfully for Ministry of Defense (MOD) User ID is (xxxxxxxx) and Password (xxxxxxxx). Ministry of Defense (MOD) authority Mobile SMS diclaration will be published Admit Card. Every applicant can dowload at www.cao.teletalk.com.bd. Ministry of Defense (MOD) authority Mobile SMS diclaration will be published Seat Plan and Exam Center at www.cao.teletalk.com.bd and www.dcd.gov.bd. 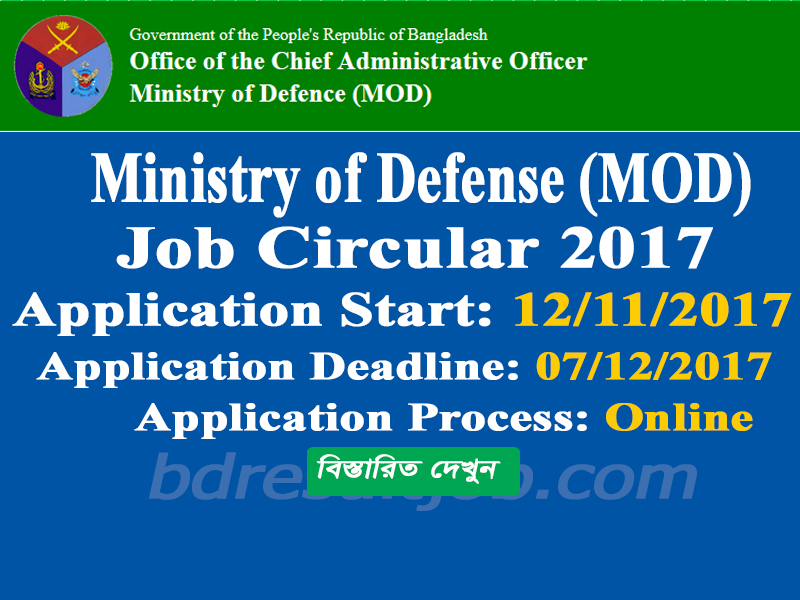 Ministry of Defense (MOD) authority will be published at thier Official webiste notice board www.dcd.gov.bd. Any update Please visit here www.dcd.gov.bd. Ministry of Defense (MOD) Official Website: www.dcd.gov.bd. 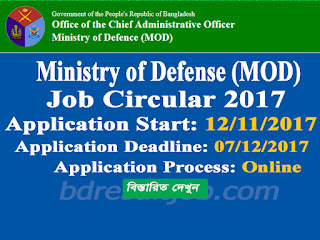 Tags: cao.teletalk.com.bd, www.dcd.gov.bd, cao teletalk com bd, www dcd gov bd, Ministry of Defense (MOD), Ministry of Defense (MOD) Assistant Director & ‍Deputy Assistant Director Civilian Recruitment circular 2017, Ministry of Defense (MOD) Assistant Director & ‍Deputy Assistant Director Civilian Recruitment Admit Card 2017, Ministry of Defense (MOD) Assistant Director & ‍Deputy Assistant Director Civilian Recruitment Result 2017.